Everything is from the kit except the Hero Arts Pink Neon ink and the feather die. Shapes and colors can really change up a card. 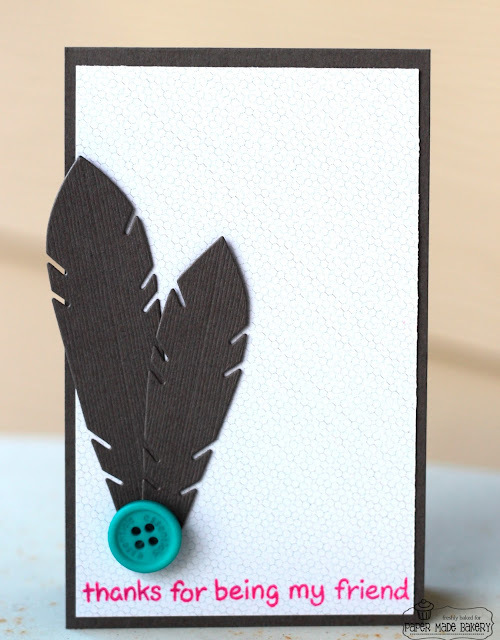 I love that awesome textured cardstock...perfect for feathers, eh? 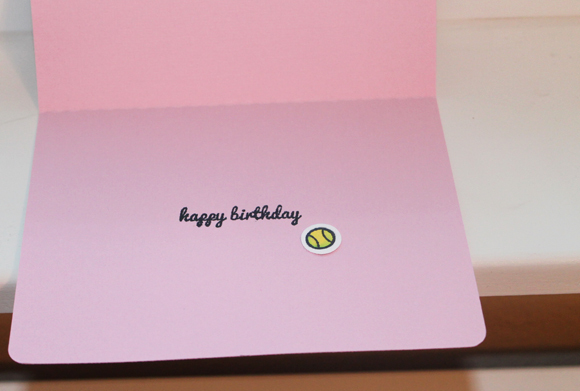 The Neon ink is a fresh surprise that adds that bit of BAM to the card. Happy Friday Paper Made Bakery friends! Hope you've had a fabulous week! Glenda here and I'm officially on vacation for a week so I'm thrilled. Wishing all of our Canadian friends an early "Happy Canada Day" for Monday and all of our US friends "Happy Independence Day" for Thursday! 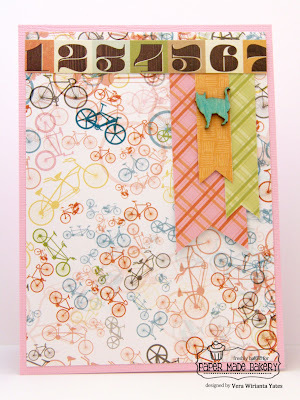 It's my last card for the June This + That kit. I decided to go clean & simple and long & lean with some bold colours. Everything on the card is from the kit except for the staples. ;) I always forget to layer buttons but am happy when I remember... I think it looks kinda' cool. It's just one of those cards that needs to be hand delivered or mailed in a parcel (it's a wee bit bulky!). The sentiment was 'down sized' from the long sentiment in the kit's stamp set. There is still time to get the super fun This + That kit. Be sure to stop back on Monday for the July Blog Hop and Kit Reveal! I won't be participating as my kit didn't arrive in time :(. Trust me though, you'll love the kit (I've seen pictures!). Be sure to stop by to see the amazing creations from the rest of the team and to enter for a chance to win some goodies! I've got a couple of fun tags for you today! They are so quick and easy to make, especially if you use your Paper Made Bakery kit. I used a tag from my stash as a template to make these. There are so many sheets of colorful paper in the kit. You can make tons of tags for gift giving. This one is for the pet lovers out there! 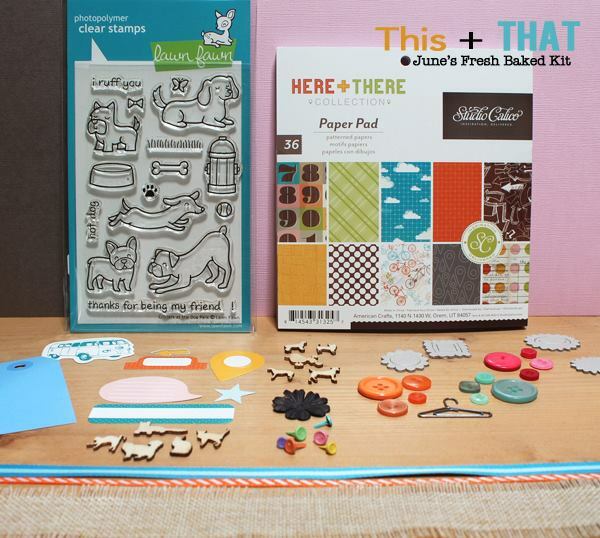 This month's Fresh Baked Kit is called - "This and That". Be sure to order your June kit today! Hi everyone!! Vera here today. I am frantically working on some stuff for CHA. Well, better late than never, right? Let's go straight to the card, shall we? I am really into non-sentiment cards lately. It's just sometimes you need this kind of card. Patting myself on the back for this card, since I used 5 different patterned papers here. That's a record for me. And I colored the wood veneer cat with a Copic marker. It's getting close to the end of the month. Next week we're revealing the new kit. Have you gotten this month's kit, yet? You can purchase the kit simply by clicking on the top tab or HERE. Thanks for swinging by today. 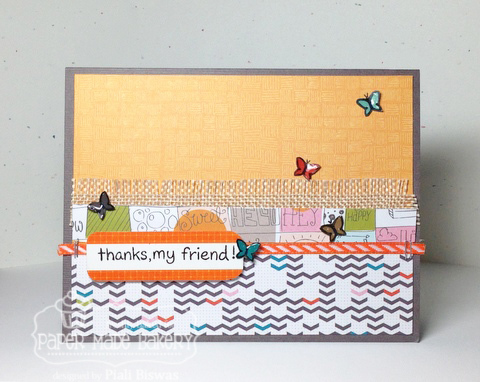 Didn't you LOVE Piali's awesome summer project yesterday?! When I saw it, I knew I'd have to make one of my own for my niece. 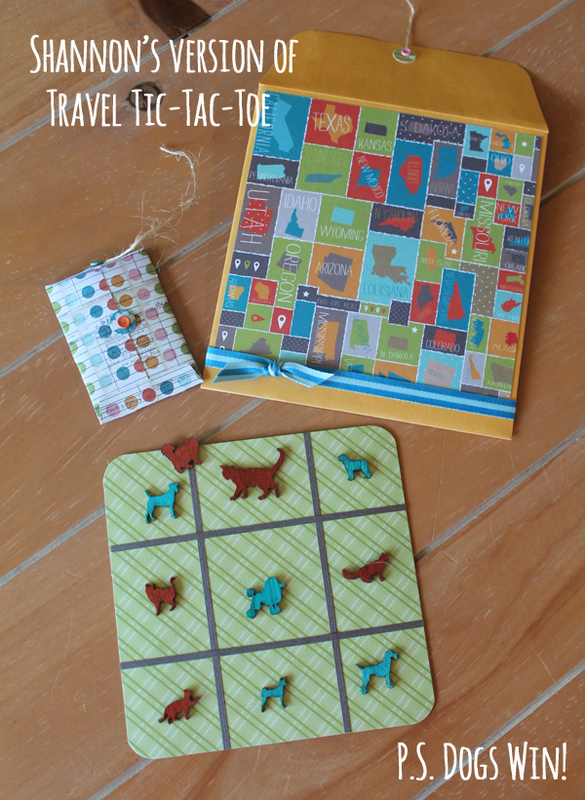 The cool box Piali upcycled is perfect for her traveling game, but I didn't have anything like that laying around, so I improvised with a manila catalog envelope (about 6" x 9"). I just folded a bit of the bottom upwards and everything fits inside nicely! I was also glad to find a use for a bit of the tons of chipboard I've been saving! I used it to back my game board. 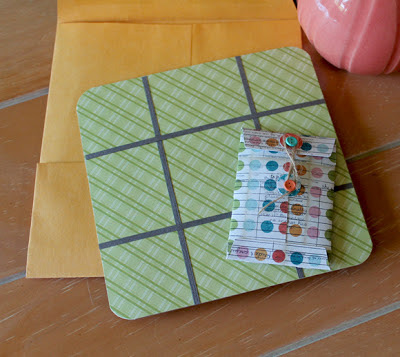 I also used THIS coin envelope shape on my Silhouette Cameo to hold the paint-misted wood veneer game pieces. As Piali said, everything else is from the June Fresh Baked Kit This + That! 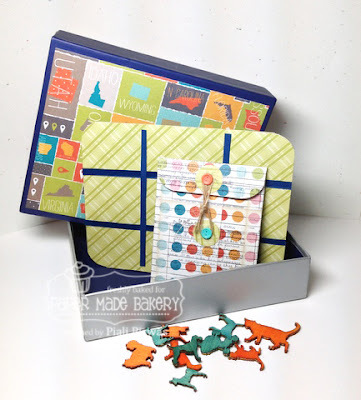 If you're in the San Diego area today and want to have a crafty good time making this project and several fun cards, we've got space in our 1:30 p.m. class in Scripps Ranch! CONTACT US for details. Happy trails to you! Finally, the summer is here...kids are home..YAY!!! I'm sure you all have big plans for summer ...lots of trips & fun!!! I know it's going to be a super busy one for me. OK, now can you guess what's in this box???? Today I used the This + That kit for a fun project!! Something my kids will love...great for road trips. 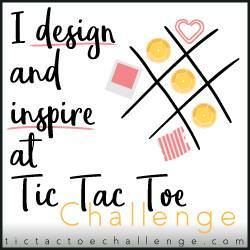 I upcycled a box using the papers from the kit to make a small TIC-TAC-TOE game that my girls can carry with them for trips or so. I colored the Dogs and Cats Wood Veneer to make the game pieces...How Fun is that????? My younger one looooooooves it!!! I also made an envelope to put the game pieces in, so that they don't get lost. Hope you liked this FUN project!!! If you want this fab This + That kit ..... you can get it HERE. 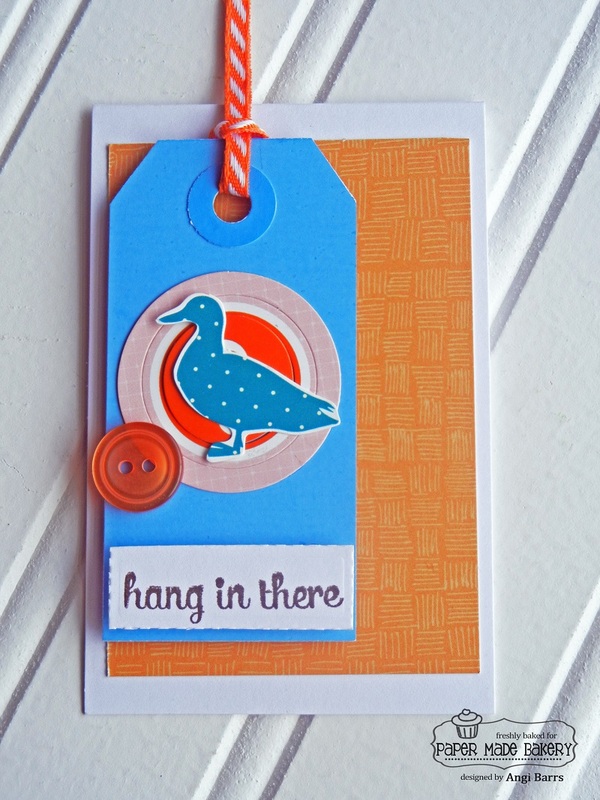 Don't you love that Studio Calico paper?! I added the geotag at the last minute, it is on foam dots.,,the patterned panels are on foam dots too. Remember to pick up your This + That kit today! Hoping you have a great Saturday! Happy Friday everyone and happy first day of summer! Summer is definitely my favourite season. Hope you've had a great week. It's Glenda here and I've put together something a little different today. Sometimes you need a card but don't have a lot of time to pull together a full card. 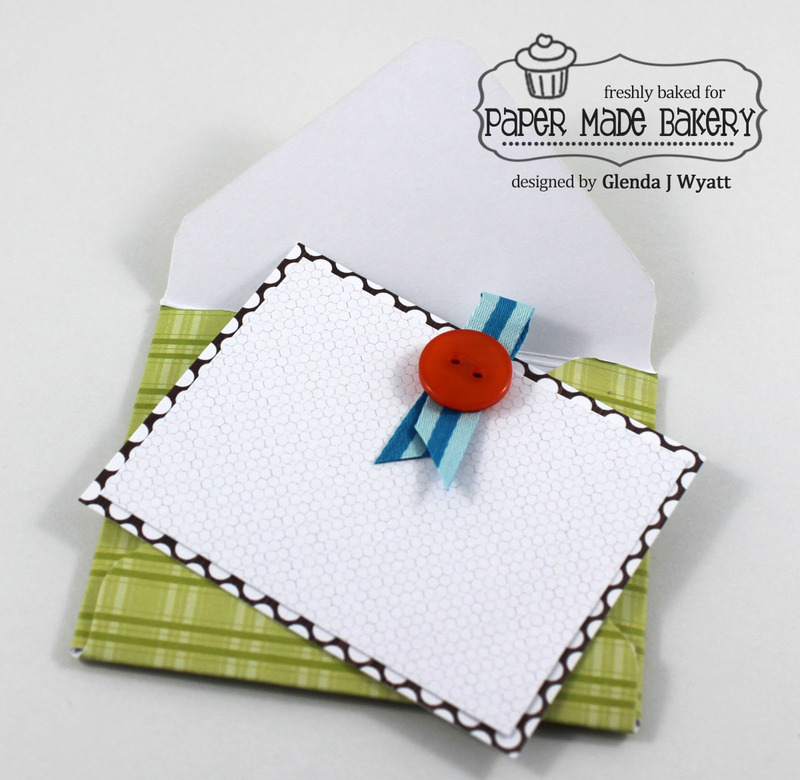 So I've made a little mini gift card. I made an envelope with one of the 6x6 sheets from the This + That kit (used my We R Memory Keepers Envelope Punch Board to make the envelope) and adhered a die cut label. 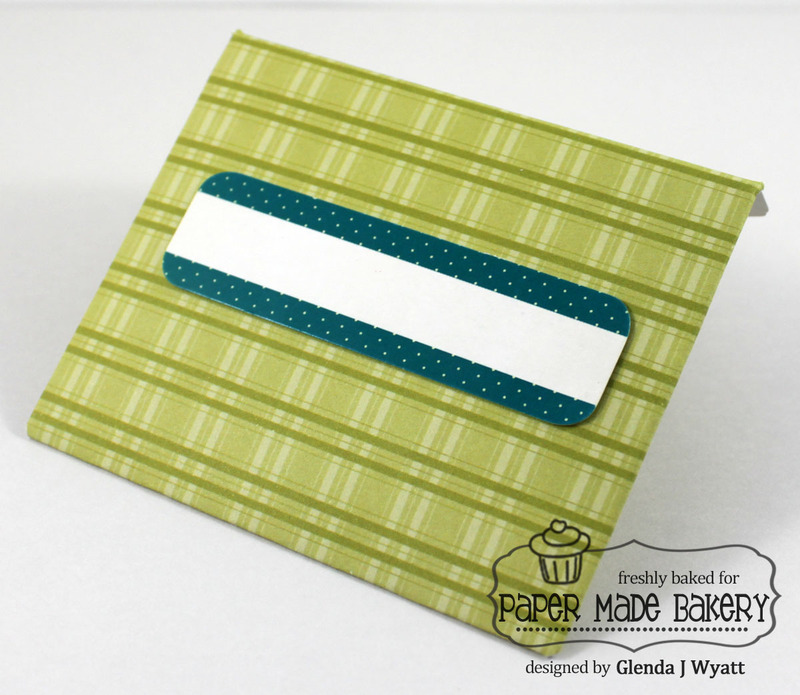 I layered two of the other patterned papers to make a flat note card. The ribbon was folded over and the button adhered on top. I kept the loop on the ribbon short so it fits easily inside. 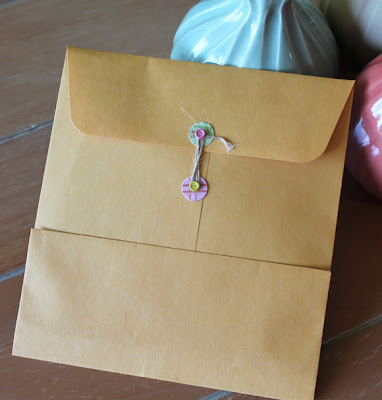 It's a nice way to extract the card from the envelope too! I always close up my homemade envelope with some fun washi tape (just a tip!). The whole thing took very little time and is an easy way to brighten up a gift at the last minute. 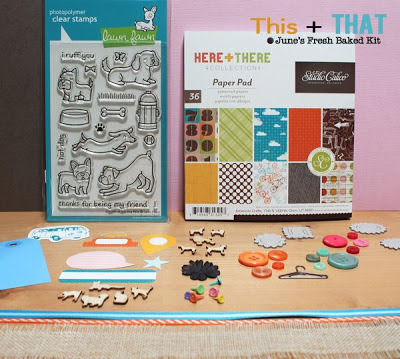 You can see all of the goodies from the This + That kit in the photo below. Remember, you can always find us on Twitter, Facebook and Pinterest. I love making mini cards. 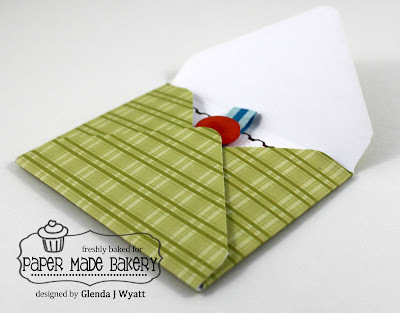 They are so quick and easy to put together, especially if you use your Paper Made Bakery kit. This one is for a friend. It's always fun to give a homemade card to someone when they need some encouragement. I added a tag on the front from this month's kit. 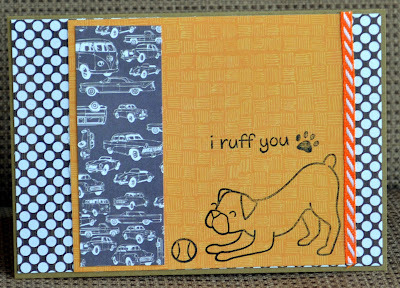 I also used a sentiment stamp from Fresh Squeezed Stamps. This stamp is included in the Vintage Daydreams Fresh Baked Kit. It's so much fun to mix elements from past kits with the current one. Happy Tuesday lovely creative peeps, it's Vera here. Normally, I rarely use brown on my cards. But, I do love his kind of brown, what I call a muted grayish brown. 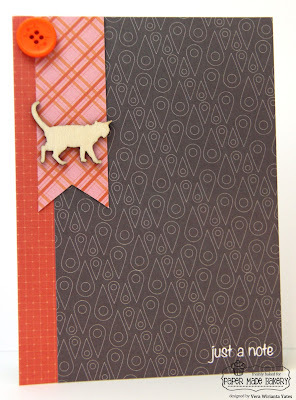 To brighten up the card, I paired the brown patterned paper with some orange & pink. This time, instead of using the stamp set that comes with this month's kit, I decided to use the cat-shaped wood veneer. I love using wood veneer. You can color them or you can just leave it all natural, the way I use it on this card. 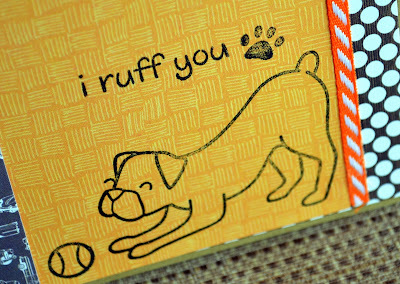 The sentiment is from the stamp set that was included on a previous month's kit. So, do you have the new This + That kit yet? You'll love all the fun goodies. In case you didn't know, I'm a dog lover. Yup, love me some doggies. We have two dog-kids: Sammy and Katie. 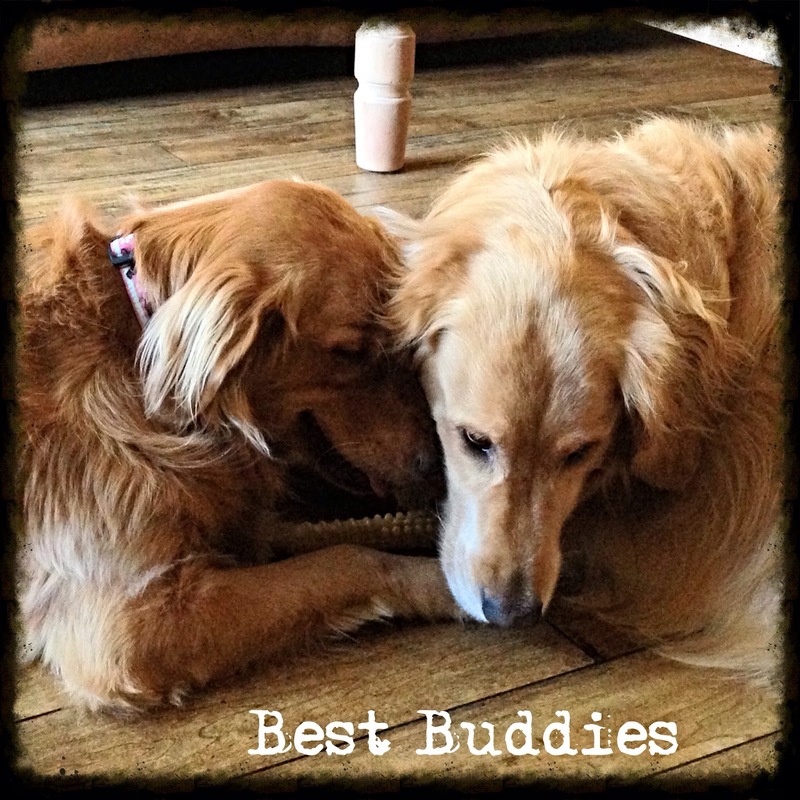 Both are Golden Retrievers, both are rescues. These two were part of the inspiration in putting together this month's Fresh Baked Kit, This + That. 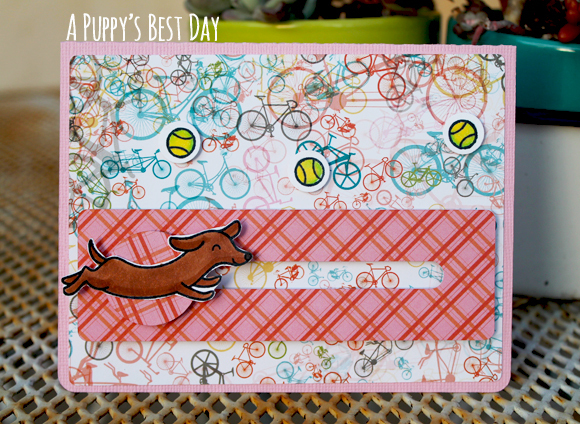 When I spied the Lawn Fawn stamp set Critters in the Dog Park, I knew it would need to be a part of this kit! I know there are lots of cat lovers, bird lovers, fish lovers, animals-of-all-kinds lovers, but even if you're not a dog lover, I'll bet you know lots of people who are! 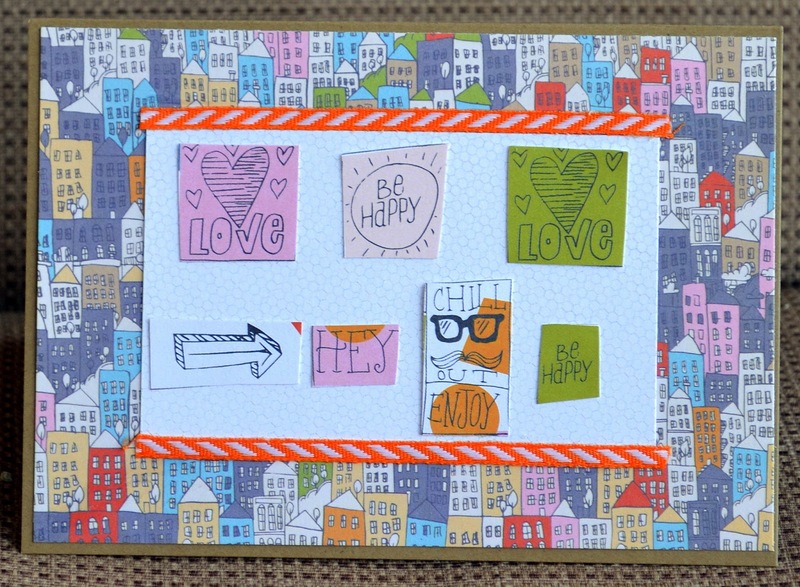 Why not pick up this kit and make a bunch of fun cards to send to your friends and family?! 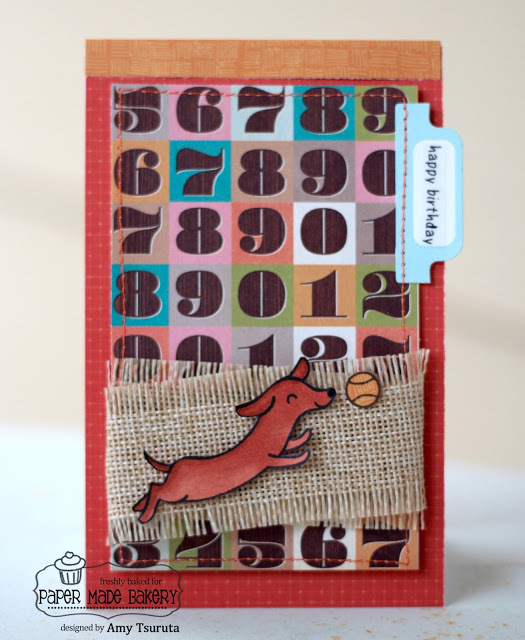 This is a spinner card, you know the kind you make with the pennies and foam tape? I found this cool file for my Cameo here. 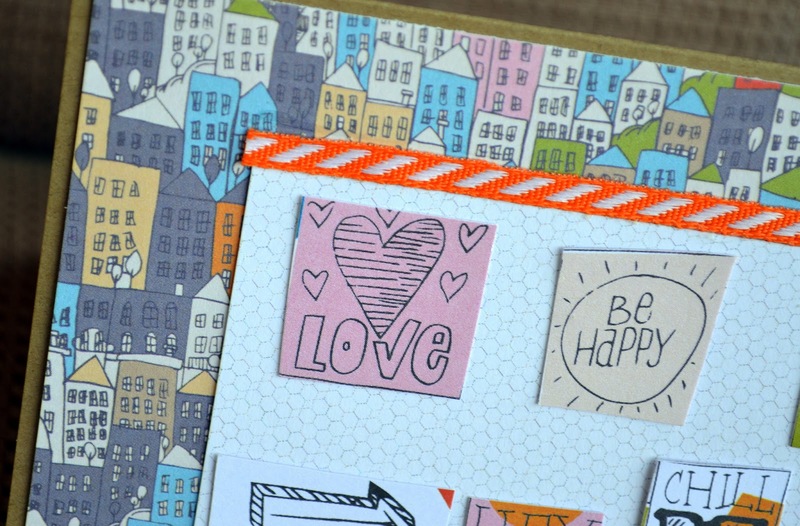 Except for the pennies and inside sentiment, everything's from the This + That kit. 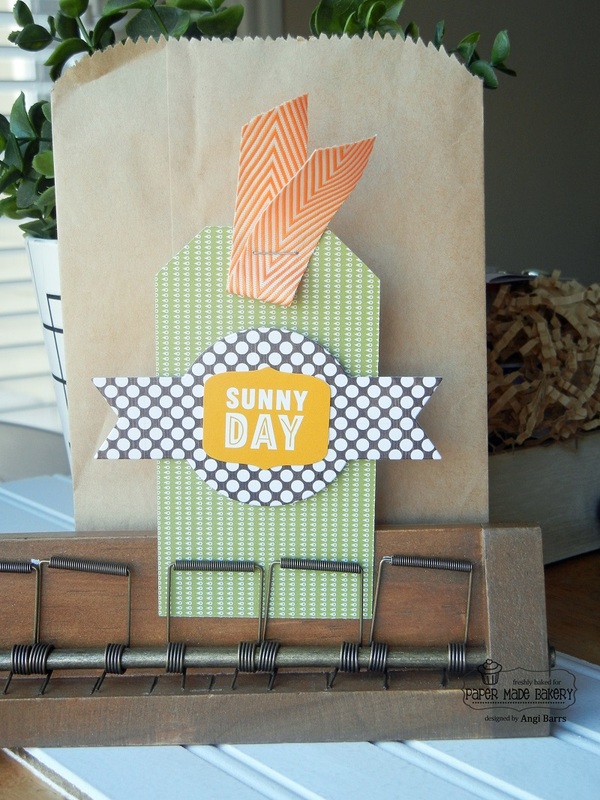 A super fun and simple card to make! Go out and have a wonderful Monday -- summer's just a few days away! Today I've a sweet CAS card to share with you all. I used the sentiment from the Lawn Fawn stamp set (also included in the kit) ...just changed it a bit by using only a few parts of the sentiment to make my own new sentiment. 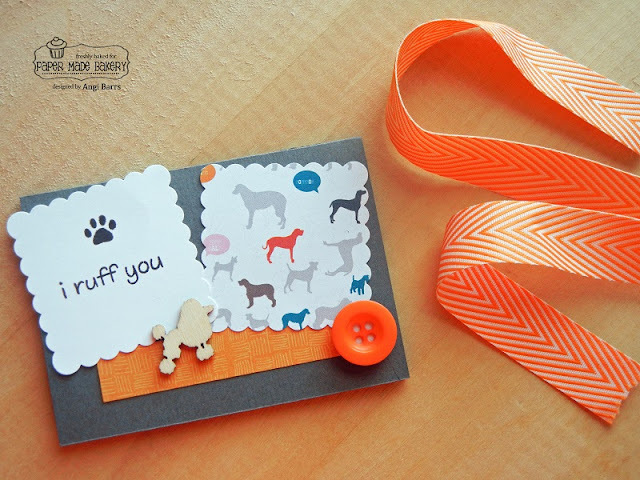 The kit is full of lovely ribbons...adds a great texture to the project. Everything is from the This + That kit minus the happy birthday sticker. I have a confession, originally my card design had one strip of that Maya Road Burlap Ribbon, but it didn't stitch wonderfully straight so now the card has some criss cross burlap! Seriously, with card making, you can generally recover from a mishap! This will be going postal to my brother who celebrates his birthday next week. Thanks for stoppin' by and have a Super Saturday!!! I've got a fun mini card for you today. 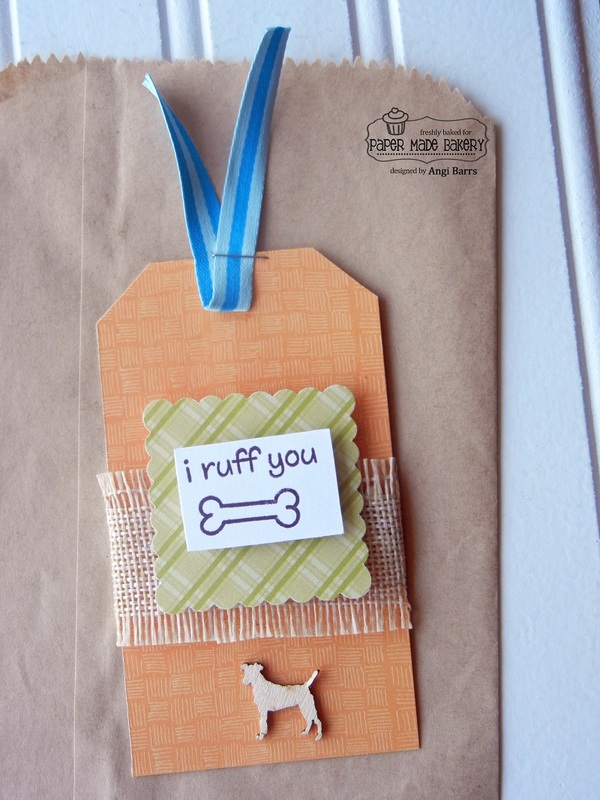 You can add this one to a gift for anyone getting a new puppy, adopting from the shelter, or celebrating a doggy birthday! I really love the wooden doggy shapes in this month's kit. 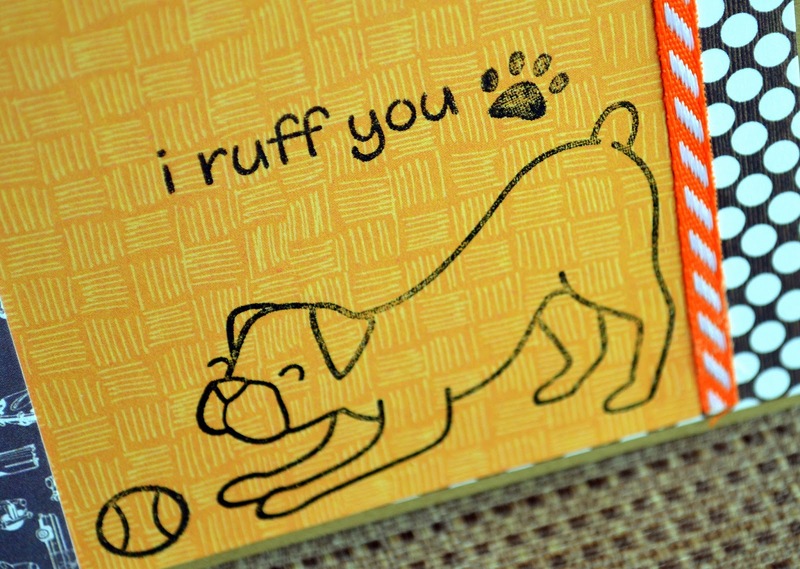 The paper & stamps will also make you doggy lovers smile!